There’s something about summer’s heat-induced lethargy that encourages a slow, steady succession of drinks from lunch ‘til dinner. Beer, while favored for its no-fuss accessibility, becomes filling. Mixing cocktails is laborious; pouring vodka into a pitcher of lemonade, too uncouth. The solution: canned cocktails. The new wave of conveniently portable (and easily concealed) libations marks a departure from the cloyingly sweet malt beverages of summers past, holding true to time-honored formulas like the Old Fashioned. Sip straight from the can or pour over ice and garnish appropriately, with ample sun and optional antics. Best for beach days. Brazil’s national cocktail, the caipirinha, is made with cachaça (a sugarcane-based spirit), sugar and lime. 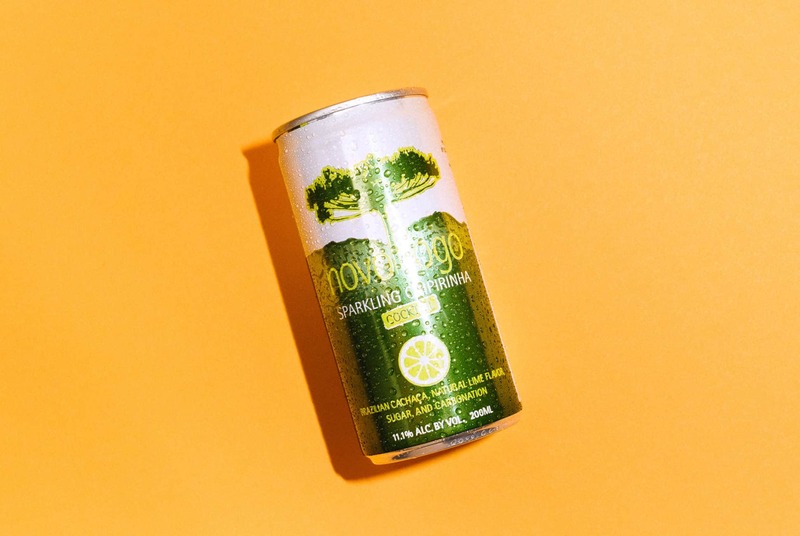 Novo Fogo’s canned riff is analogous to a mojito, mixed with soda for a more tolerable (though by no means insubstantial) ABV. Dress It Up: Pour over ice and top with mint and an extra squeeze of lime.